Celebrate Life #1 – A New Thing and the X factor! With a new year comes new experiences. For us here at SG Organic we have a lot of new experiences to look forward to. We are working on new products, new programs, and much more! The first of these new changes to appear is this newsletter. Over the next year and in the future we will share information, special deals, recipe ideas and other useful tips and tricks for your organic lifestyle twice a month. We look forward to help you bring wellness into your life and share our little tips and tricks with you along the way. Just as our fruits and veggies help create a variety in your diet we want to make an extra effort by sharing information and recipes with you here and through our social media accounts! As we just ended the first month of 2016, maybe some of us are still hung over from the New Year parties, maybe others are still penning their New Year resolutions, and still others have already given up on half the list of resolutions… If you’re still struggling with New Year resolutions, well, my recommendation is forget about resolutions! Who keeps all of them anyway? So why tear your hair out over a list of high and lofty ‘Must do’ for the year only to be disappointed and feeling guilty over ‘undone’ resolutions? So what then? Well, simple, go out there and live life like you’ve never lived before by creating the life you love. It’s all about seizing the day, following your dreams. Impossible? As the saying goes, a journey of a thousand miles start from a small step, then dare to take that step. It’s a new year, how about starting a new thing in your life? And to start a new thing, we need to have a clean slate. Life is too short to travel with excess baggage of the past. Now is the time, to do a new thing! Adopt a new healthy habit, pick up a new hobby, learn a new skill, eat a new fruit, taste a new juice, sing a new song, dance to a new rhythm, speak a new language. And while you’re attempting all that; eat the cake you’ve always wanted to eat, wear the dress you’ve been saving in your wardrobe. There’s no better time, place and day than right now, right here, today. 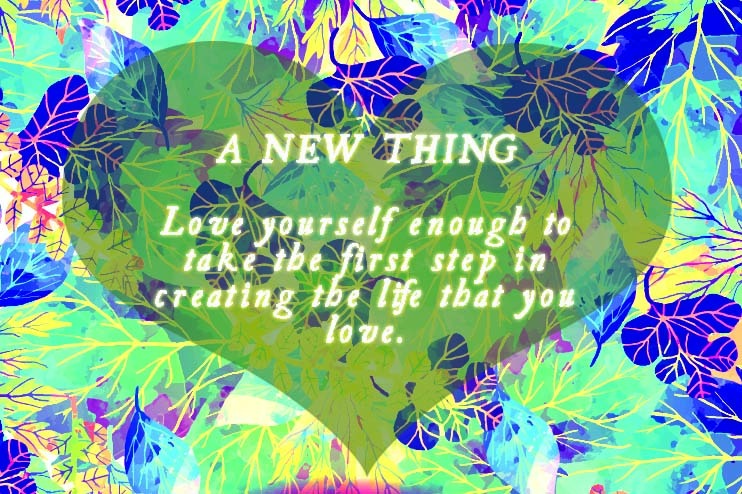 Above all, it’s about loving yourself enough to take the first step in creating the life that you love. Be ready to take that quantum leap of faith and stay true to yourself. So let’s celebrate life, be it good or not so good. After all, you only live once! What new thing are you trying this year? Share with us on facebook, tweet to us on twitter or simply follow us on our social media to get a dash of inspiration every fortnight. 2. Wellness – Do you have the ‘X’ factor? Do you need a little radiance in your skin or to feel a little more awake throughout the day? Then you need the d-e-t-o-X factor! Detoxification is about resting, cleaning and nourishing the body from the inside out. By removing toxins, then feeding your body with healthy nutrients, detoxifying can help protect you from disease and renew your ability to maintain optimum health. Start 2016 right with our detox series as we unveil the top 10 foods to cleanse your body (especially after the holiday feasting). Aromatic, pungent and spicy, ginger adds a special flavor and zest to Asian stir fries and many fruit and vegetable dishes. Historically, ginger has a long tradition of being very effective in alleviating symptoms of gastrointestinal distress. Ginger can not only be warming on a cold day, but can help promote healthy sweating to assist detoxification. Whenever possible, choose fresh ginger over the dried form of the spice since it is not only superior in flavor but contains higher levels of gingerol as well as ginger’s active protease (it’s anti-inflammatory compound). 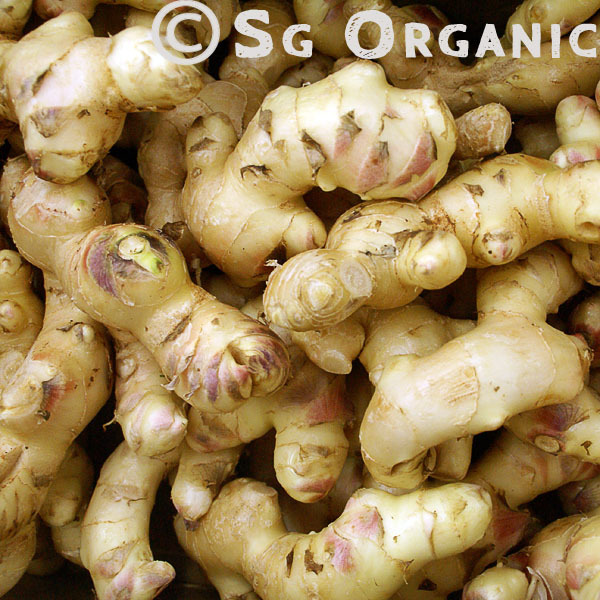 When purchasing fresh ginger root, make sure it is firm, smooth and mold-free. Ready to take some heat? Here’s some of our serving suggestions for ginger. Enjoy! a. Ginger lemonade: Simply combine freshly grated ginger, lemon juice, cane juice or honey and water. b. Salad Dressing: Mix ginger, olive oil and garlic to make a wonderful salad dressing. c. Add ginger and orange juice to serve up a spicy tangy puréed sweet potatoes. Our shipments come in fresh weekly. This is the best season for fruits, such as nectarines, peaches, plums and more! If you have any questions, do drop us a line or call us up for a chat. Also do ensure you complete your payment before or after checking out, so you receive your order on time. As with other online stores, we operate on a pre-payment basis. Hence, we’d only be able to process your order upon receiving your payment. Now remember: We are not chefs, nor are we nutritionists or doctors. These are just a few of the ideas we have learned from friends, family and our own studies for your reference. If you have a medical condition, do seek professional medical advice.